As you may have realised, I have been remiss in posting giveaway winners, so I am sorry about that. To try and make it up to you, I am going to post two lots of winners at once. Firstly, Maria Grace came by with the third in the Queen of Rosings Park series, A Less Agreeable Man. Maria gave us not only a guest post relating to medicine in Regency times, but also a cut scene from the book. 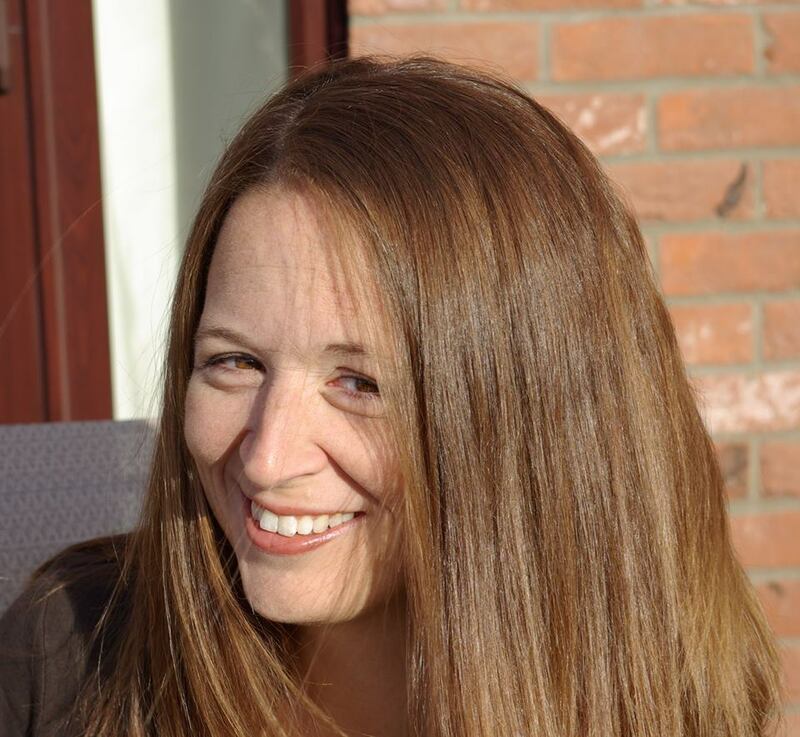 If you missed it at the time, you can read Maria's guest post here. Congratulations! I will be in touch. We were also visited by Sophie Turner. Sophie has been working on a fantastic project - she's created a digital copy of Jane Austen's Pride & Prejudice which has been restored as closely as possible to Austen's original 1813 first edition of the book. Sophie brought us a post about the economics of publishing in Austen's time which you can read here. Congratulations to you, Denise! I will be in touch. Thank you to the lovely authors who provided the guest posts and giveaways. Again, I am sorry for the delay in posting. As you know, I enjoy reading books inspired by the works of Jane Austen. I like what-ifs, where we explore another path, sequels, so we get MORE, alternate points of view and minor character stories. Most of the Austenesque reads out there are based on Pride & Prejudice. While this is my favourite of Austen's works, that doesn't mean that I don't like the others! Sometimes I like a change. 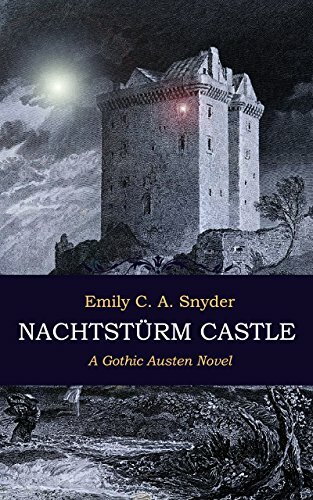 In my searches for books to add to my 'to be read' list based on Austen's other works I came across Nachtstürm Castle: A Gothic Austen Novel by Emily C A Snyder. This is a sequel to Northanger Abbey, which promises gothic excitement for Catherine Morland. When I looked it wasn't available on kindle and in paperback it was crazy expensive! I thought I'd never get an opportunity to read the book, but Emily has re-released it on kindle. She's visited us today with a post about the re-release and an international e-book giveaway. First I'll share the blurb with you, and then we'll hand over to Emily for a post about re-releasing her story. But as an aside, think how much Catherine would adore the exclamation marks in this book description from Amazon! Moonlight! Castles! Ghosts! Storms! Secret trap doors! Suicide! Grave yards! Mistaken Identities! Carriage accidents! Gypsies! Hauntings! A kidnapping! Purloined letters! A duel! Swooning! Wild Pursuits! Demonic possession! A disputed inheritance! Three romances! A ransacking! Ancient curses! A stolen will and testament! Dank subterranean passageways! Multi-talented Emily C. A. Snyder has managed to pack the above list (and more) into Nachtstürm Castle, a sophisticated Gothic fantasy sequel, taking up the further adventures of Henry and Catherine Tilney where our divine Miss Austen finished the last lines of Northanger Abbey. I have the pleasure of welcoming Elizabeth Adams back to the blog today. 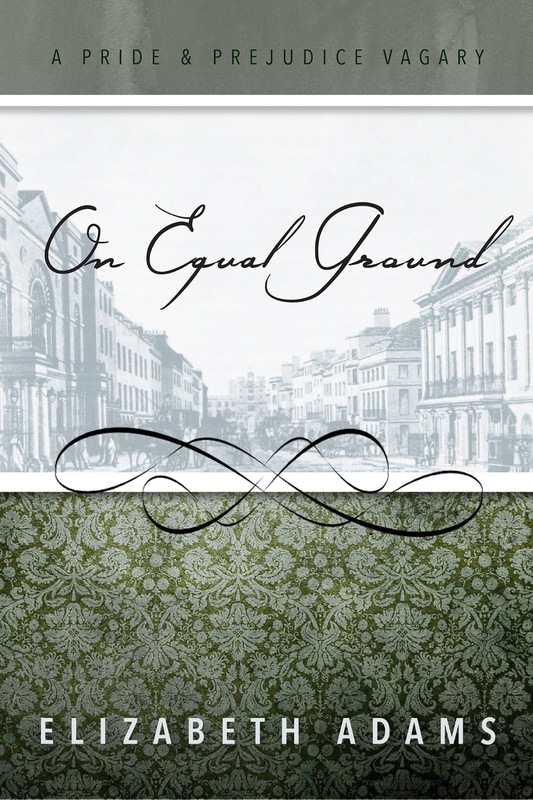 Elizabeth has a new book out, On Equal Ground, which is a Pride & Prejudice variation. This book deals with a premise that can be somewhat less popular in romance, and particularly in JAFF, but it's one which happens in real life and may well have happened to somebody you know - continuing on with life and finding happiness after the love of your life has died. Now, don't worry, Elizabeth & Darcy are both still around; one of them has married another, and been very happy, but this book looks at the loss, and moving on afterwards. 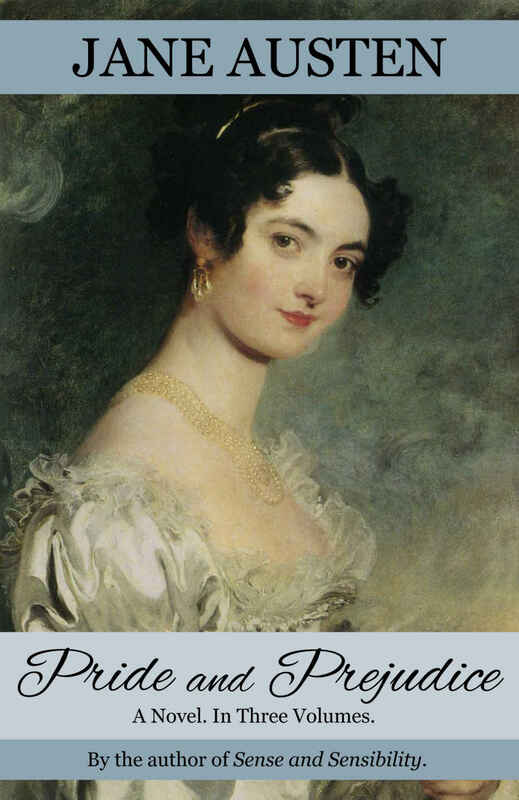 Well-read, observant, and spirited, a young Elizabeth Bennet draws the attention of a wealthy widower. When she finally meets Mr. Darcy, she outranks him. Of course, that doesn’t stop him from insulting her. Married and wealthy, is she still beneath his notice? 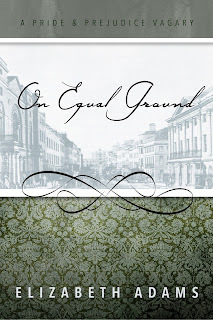 Elizabeth’s high society connections create new opportunities for her sisters and, in turn, keep Darcy close to her family. When tragedy strikes, will Darcy rise to the occasion? Or will his propensity to give offense show no respect for rank? 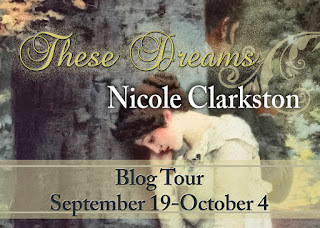 I'm very happy to be welcoming Nicole Clarkston back to the blog. Nicole has written a story which is proving very popular - I just took a look on Goodreads and it's rating at over 4.5 stars, with over 50 ratings, which is pretty impressive feedback. Let me share the book description with you, and then I'll hand over to Nicole for a vignette, which you won't find in the book. Georgiana Darcy is now the reluctant, heartbroken heiress to Pemberley, and Colonel Fitwilliam her bewildered guardian. Vulnerable and unprepared, Georgiana desperately longs for a friend, while Fitzwilliam seeks to protect her from his own family. As the conspiracy around Darcy's death widens and questions mount, Colonel Fitzwilliam must confront his own past. An impossible dream, long ago sacrificed for duty, may become his only hope. Newly married Lydia Wickham returns to Longbourn- alone and under mysterious circumstances. Elizabeth Bennet watches one sister suffer and another find joy, while she lives her own days in empty regrets over what might have been. Believing Darcy lost forever, she closes her heart against both pain and happiness, but finds no escape from her dreams of him. Today the blog tour for Karen M Cox's updated version of 'Emma' drops by with my review of the book and an international giveaway opportunity. I'll share the book blurb with you first, and then let you know what I thought of it. Fair Stands the Wind by Catherine Lodge - Now Available to Purchase! 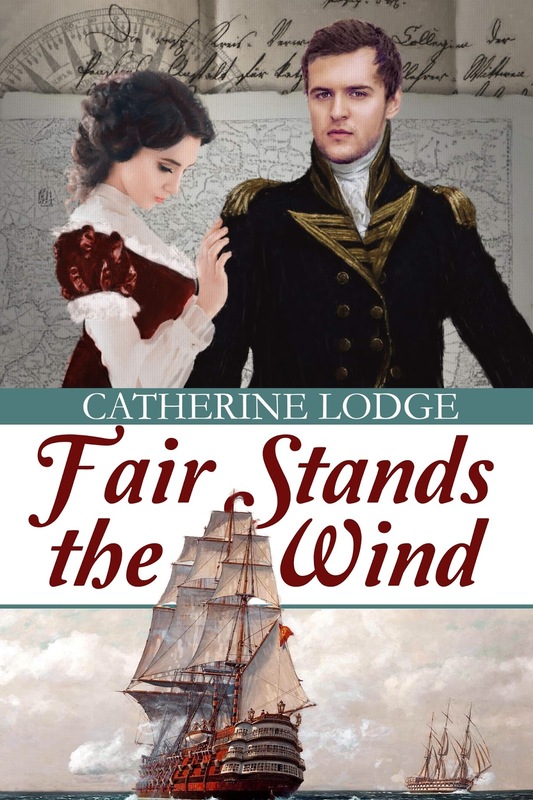 You may remember that a couple of weeks ago debut author Catherine Lodge visited Babblings of a Bookworm on the first stop of her blog tour for Fair Stands the Wind, which is a Pride & Prejudice variation having Fitzwilliam Darcy as a second son who is in the navy, rather than the owner of an estate, and an Elizabeth Bennet who is under parental pressure to marry Mr Collins (don't do it, Lizzy!). You can read the post here. At the time the tour started, the bloggers on the tour were unable to include buy links because the book wasn't yet up on Amazon. This isn't unusual, because often the blog tour will be timed to coincide with the book first going on sale so that eager beaver readers can get the book on their to be read lists and potentially onto their kindles. But as time drew on, and launch day came and went, it appeared that there was an issue with the kindle version of the book. I am very pleased to be joining in the blog tour for a wonderful project. Over time, the text of Austen's Pride & Prejudice has had changes made and Sophie Turner (who has written books to follow on from P&P) has worked on producing an electronic version of Pride & Prejudice that is as close as possible to the version that readers would have first read in 1813. 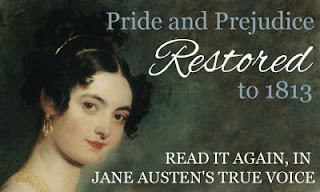 Sophie has a guest post for us about the publishing of that initial edition, and there's a giveaway of an ebook of this version of Pride & Prejudice for a commenter on this post. 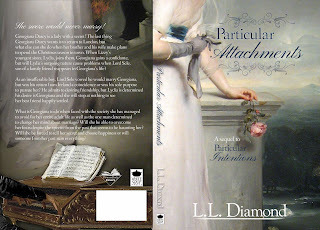 Today I'm happy to welcome L L Diamond back to the blog. 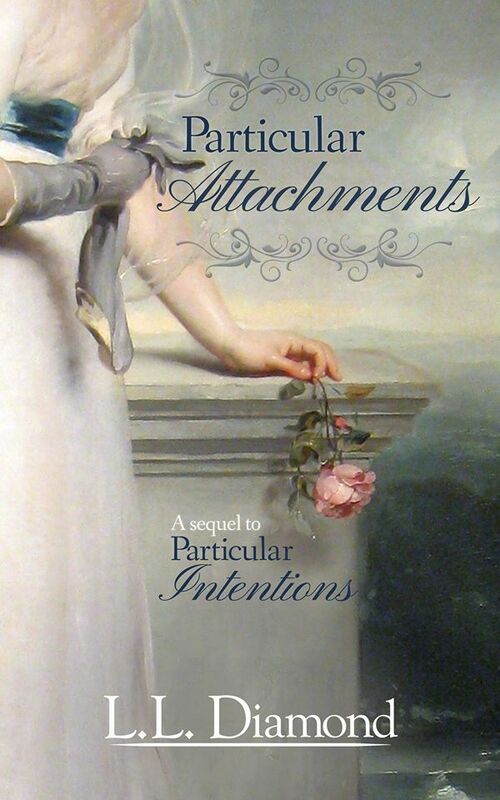 Leslie has brought out a sequel to Particular Intentions called Particular Attachments. Glory in the beauty of this cover for a moment! Now, let me share the blurb with you, and then I'll pass over to Leslie for a character interview with Georgiana Darcy. Thank you so much, Ceri, for having me! 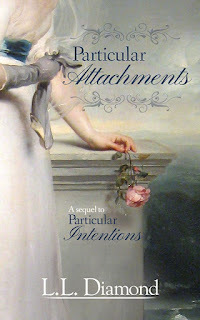 I’m so excited to finally release Particular Attachments and tell everyone Georgiana and Nathaniel’s story. I thoroughly enjoyed writing it and I hope everyone enjoys reading it just as much! I was very fortunate when Georgiana and Nathaniel told me their story for Particular Attachments, but I recently persuaded Georgiana Darcy to sit down and speak with me about her past with Nathaniel Howard, Viscount Sele and her thoughts on various other matters. LLD: Thank you for agreeing to allow me to write your story as well as this interview. Georgiana: Well, you were quite insistent. I am unsure of what Nathaniel and I have done to create such interest in our story, but I suppose sharing our tale will cause no harm. No one from my own time will read it after all. LLD: Tell us about life at Pemberley since your brother married Elizabeth Bennet. Have the two of you become good friends? Georgiana: I knew when I met Lizzy she would be the ideal match for Fitzwilliam and I could not have been more correct. She works tirelessly alongside my brother to ensure Pemberley thrives, she is a marvellous mother to my adorable nephew, William, and she makes Fitzwilliam happy. He is less reserved and smiles more than he did in the past. LLD: What of her relationship with you? Georgiana: She is my sister. She listens to my concerns and we have long talks at times—not as much since William was born, but it is only natural she devotes more of her time to her son. We enjoy taking him on long rambles sometimes. He never lacks for energy. LLD: William is an active child then? Georgiana: (laughs) Quite so! He certainly gives his nursemaid, Mrs. Wynn, a difficult time of it, and she had five children of her own! He does give us quite a scare at times with his antics. He is a loving little boy. I find it a chore to be cross with him when he is naughty. LLD: You have become much closer to Lydia Bennet as of late. What prompted this big change in your relationship? Georgiana: She is hardly the same young lady I met when Fitzwilliam and Lizzy married. She is still outgoing and enjoys a good giggle, but she is greatly altered. I enjoy her company and she has become as much my sister as Lizzy. We do enjoy long discussions that last late into the night, and stealing biscuits from the larder. LLD: She has a bit of her own romance, doesn’t she? Georgiana: (Georgiana nods) She does. He is an excellent man. LLD: I’d like to move on to Lord Sele. What was he like as a child? Georgiana: (Exhales loudly) Insufferable, annoying, a pest. Do you require more? LLD: (laughs) Yes, actually. What could he have done to make you feel this way? Georgiana: He stole my reticule, I know he took Matilda, and he would pull my curls. I never enjoyed his society when we were young, and he was so insistent we would marry. I did not care to marry any boy, but I especially had no desire to wed him. Georgiana: She was my doll. She was once my greatest confidante. My mother would request the fabric remaining from my gowns from the dressmaker, and she would sew Matilda matching clothes. We did everything together—except riding. I could never take her riding. She might be damaged. One day, we had just had tea when my mother asked for my company and Matilda disappeared. He had been lurking about before and had disappeared by the time I found her gone. I never found her. LLD: When you were a child, could you ever imagine courting Lord Sele? Georgiana: Lord, no! I would have sooner eaten a bug than imagined such a fate. LLD: What did you think when you first laid eyes upon Lord Sele after all these years? Georgiana: I hoped he would not notice me. If I could have disappeared into the floor, I would have certainly done so, but when he looked at me directly, I prayed he would not recognise me! A part of me believed he would be precisely the same as he was when we were children. Could you imagine? When I was a child, I could kick him in the shin, but I could not very well do so now. Not that I don’t want to give him a good kick from time to time. He can be the most infuriating man! LLD: He has loved you for a very long time. It must be heartening to know you have inspired such devotion. Georgiana: Devotion or dogged persistence? He appeared back in my life after so many years, and I am certain he thought I would fall at his feet. I decided after Ramsgate I would never marry. I told him, too, but he would not be deterred. I truly believe he enjoyed discomposing me when he found the opportunity. Of course, it did not take much to disturb my equanimity. Georgiana: By no design of my own. I have told you on numerous occasions that he is insufferable and I stand by my opinion of his character. LLD: He must have some redeeming qualities? Georgiana: I suppose he is faithful and has a certain charm ladies find attractive. Georgiana: I have heard him described in such a fashion. Lydia claims he is so. LLD: I don’t want Lydia’s opinion. Do you find him handsome? Georgiana: He is not unattractive. LLD: What do you find handsome about him then? Georgiana: (Huffs) You will not relent, will you? Thank you, Georgiana, for taking the time to speak with me about your life and Lord Sele! Thanks again to Ceri for hosting us! Leslie’s books include: Rain and Retribution, A Matter of Chance, An Unwavering Trust, The Earl’s Conquest, Particular Intentions, and Particular Attachments. Thank you so much to Leslie for dropping by, it's been lovely to be able to host her, as always. You can read more about Particular Attachments by following the blog tour. There are details of the stops below. It's time for a winners' post! Recently Sharan Lathan paid her first visit to Babblings of a Bookworm with a guest post, excerpt and giveaway of Darcy & Elizabeth: Hope of the Future. 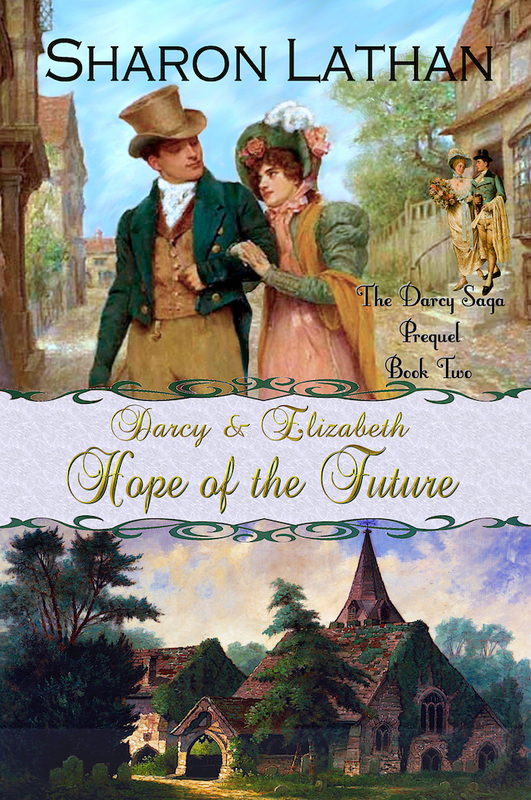 This is the second in a pair of a prequels to her Darcy Saga series. Sharon was so kind as to randomly select our two winners using random.org. Thank you everybody who dropped by to enjoy Sharon's post, and of course, big thanks to Sharon for visiting and bringing a giveaway! An Announcement from Christina Boyd - New Anthology Coming Soon! Oops, I’m at it again. I’m Christina Boyd, the editor of The Darcy Monologues, and I am thrilled to finally announce that my next anthology project, Dangerous to Know: Jane Austen’s Rakes and Gentlemen Rogues, is well underway. Jane Austen’s masterpieces are littered with any number of unsuitable gentlemen—Willoughby, Wickham, Churchill, Crawford, Tilney, Elliot—adding color and depth to her plots but often barely sketched out to the reader. Have you never wondered about the back story of her rakes and gentlemen rogues? Surely, there's more than one side to their stories. I have always been drawn to characters that are not simply one dimensional. Through first person point-of-view, Philippa Gregory masterfully created empathy in her Plantagenet and Tudor novels: one novel I would find myself championing a queen and in the very next, she had become the villain! Author Laura Hile skillfully penned nobody’s favorite, Elizabeth Elliot from Persuasion in her Mercy’s Embrace series, and turned her into a true heroine we all might sympathize, all the while remaining faithful to the seemingly superficial and vain snob Jane Austen created. 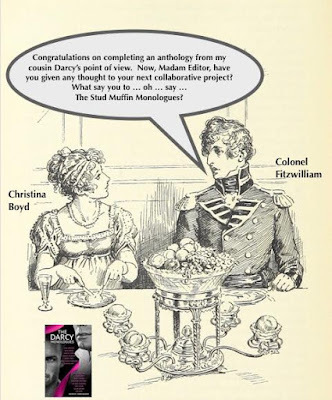 Even my own anthology The Darcy Monologues gave voice to the previously concealed wit and charm of the proud, brooding, and officious Mr. Darcy, allowing us some quality time in his handsome head. After publishing The Darcy Monologues in May 2017, murmurings began about another project. Maybe from Miss Elizabeth Bennet’s point-of-view? 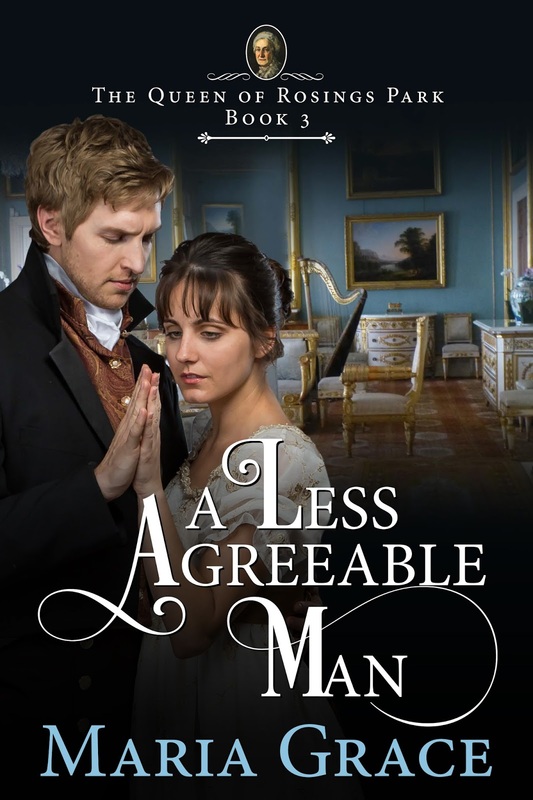 With a surfeit of quality Jane Austen fanfiction recounting Lizzy’s story, I thought it might be a more titillating challenge to expose the histories of Jane Austen’s anti-heroes. It is a universal truth, despite our wisdom, we are captivated by smoldering looks, dangerous charms ... a happy-go-lucky, cool confidence. Alas, some of us fall for the one that needs to be mended. All the while, our BFFs are shouting to deaf ears, “He is a cad! He is a brute! He is all wrong!” But isn’t that how tender hearts are broken...by giving credit to the undeserving? How did they become the men Jane Austen wrote? The challenge was just too delicious to not undertake. Once again, a Dream Team of authors were approached to join this project. Titles were bandied about: everything from “Consequently a Rogue” taken from the Jonathon Swift quote “He was a fiddler and consequently a rogue” to “Rakes and Rogues” to “Jane Austen’s Gentlemen Rogues”. “Mad, bad, and dangerous to know,” the very phrase used by Lady Caroline Lamb to describe Lord Byron, married the previous suggestions and—voila! A title was born. As an editor, I have been extremely fortunate to work with some incomparable authors in the past. This project is a testament to my providence. 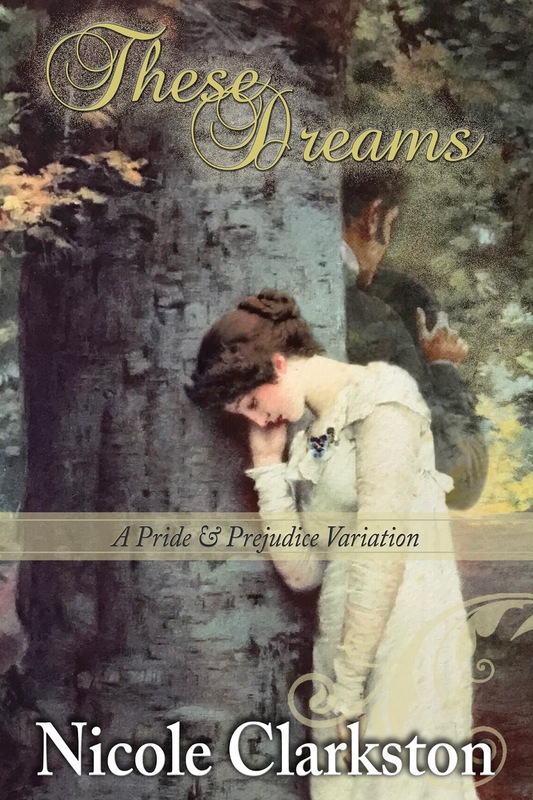 It has been a pleasure to have several authors from The Darcy Monologues anthology including Karen M Cox, J. Marie Croft, Jenetta James, Beau North, Sophia Rose, and Joana Starnes join Amy D’Orazio, Lona Manning, Christina Morland, Katie Oliver, and Brooke West on creating this current collection of stories. 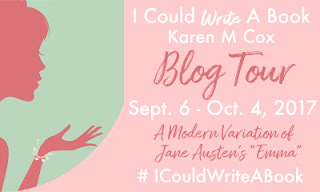 The intent: create short stories, each told from one of Austen’s male antagonists’ eyes—a backstory and, or parallel story from off-stage of canon—all the while remaining steadfast to the characters we recognize in Austen’s masterpieces. As in The Darcy Monologues, these authors certainly can turn up the heat with but the turn of a phrase! Her fingers stilled as I closed my eyes in pleasurable exhaustion and drifted towards sleep. What say you? Are you in? Everyone may be attracted to a bad boy…even temporarily...but heaven help us if we marry one. Dangerous to Know: Jane Austen’s Rakes and Gentlemen Rogues will be released mid-November and is listed at Goodreads so you might add to your “Want to Read” list. One print copy or ebook of Dangerous to Know: Jane Austen’s Rakes & Gentlemen Rogues (when published), a print or ebook of The Darcy Monologues, one set of Jane Austen Playing Cards, one 16 oz. PEMBERLEY drinking glass, and Accoutrements Jane Austen novelty tattoos. This loot could be yours! Happy September! I love September. It's my favourite month. It almost feels like a time when everything is new and we're starting afresh, no doubt due to the fact that the school year here starts in September. My birthday is also in September, so for me it's literally the time a new year begins.